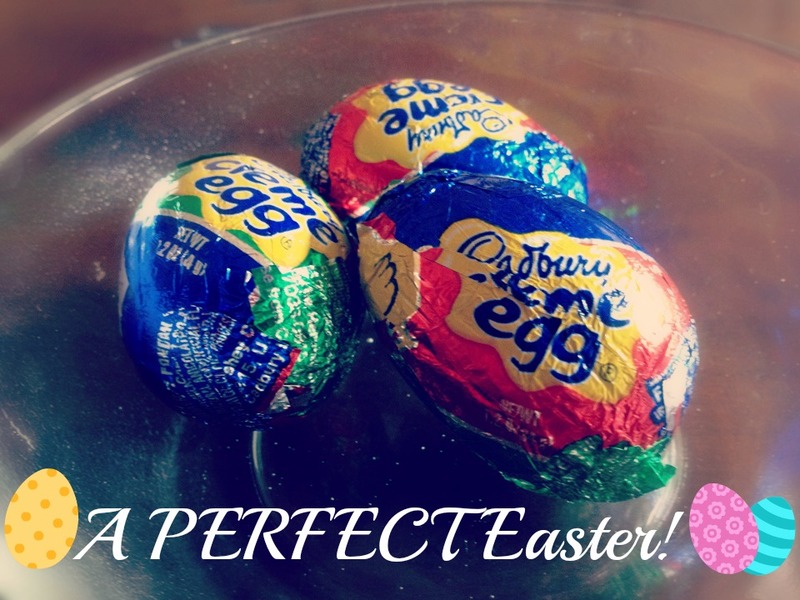 Cadbury eggs = the only thing you need to have an amazeballs Easter. When I was a kid, my family and I used to come to the U.S. around Springtime every year. It was THE BOMB. And because we stayed in a timeshare-ish/rented(?) condo, we had to make our own food and get our own groceries. Usually I didn’t look forward to trips to the grocery store UNLESS I knew I could get anything Lisa Frank (a brand I haven’t bought anything from since I was that young even though I still find it adorable!) and/or Cadbury eggs. I LOVE Cadbury eggs to this day and I look forward to buying a few every year (b/c they only come available at around this time, which my hips are actually thankful for). Each egg has this delectably sinful cream inside and they’re just oh so heavenly! And that is why I totally recommend them for your Easter celebration. Just don’t drink Diet Coke afterwards. I did just that right before one of our trips back to Colombia back in the day, and let’s just say it wasn’t a very fun plane ride. What do you love the most about Easter? What do you like to do to celebrate it?